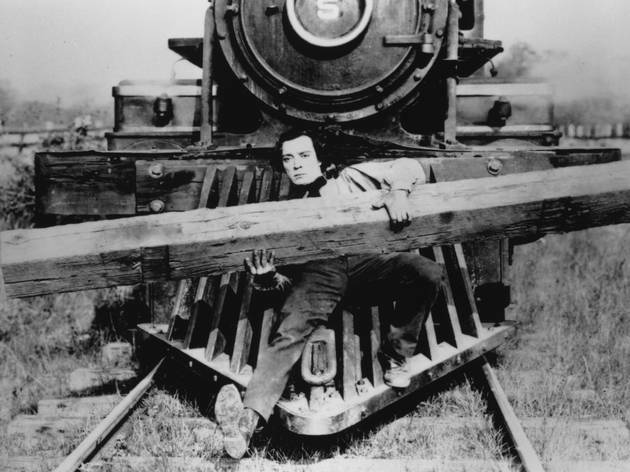 Made barely three decades after the invention of film itself, Buster Keaton’s timeless 1926 silent The General is the perfect chase movie: it has never been bettered, and maybe never will. Keaton plays a train driver during the American civil war who loses both his beloved steam engine The General and his estranged fiancée (Marion Mack) to a troupe of Northern spies. Overcoming impediments both intentional and inadvertent – armies, cannons, bears, rickety bridges—without ever losing his implacable stone-faced cool, Keaton sets off in pursuit. The set-pieces are breathtaking, the stunts barely believable (yes, that’s a real train falling from a real bridge), and the blend of broad slapstick, grandiose period drama and heartfelt character comedy is impeccably judged. See it and gasp.